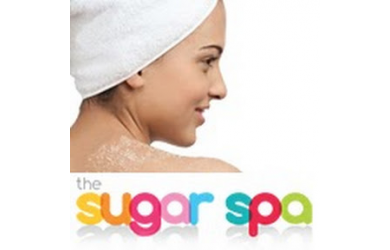 $22.00 for $125.00 - The Sugar Spa Platinum Facial Mask - 6 Month Supply, a $125 Value for ONLY $22! 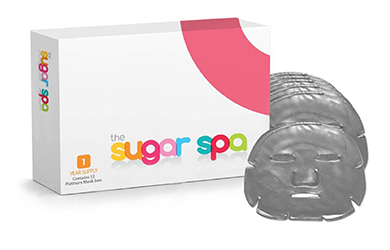 The Sugar Spa Platinum Facial Mask - 6 Month Supply, a $125 Value for ONLY $22!! 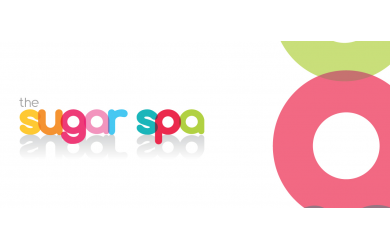 Sugar Spa Platinum Facial Mask - 6 Month Supply. This revolutionary Platinum Mask treatment is unique and one-of-a-kind, designed for proactive clients who prefer a more hands-on approach to skin care. The mask features Colloidal Platinum, which stimulates and energizes your skin- offering Revolutionary tools for better skin at your fingertips. Platinum facial masks have been aiding clients to achieve the results that they are looking for without costly surgeries or painful procedures. The platinum mask set from The Sugar Spa features an anti-aging formula enriched with powerful anti-oxidants that restore the natural balance of the skin, increasing hydration and elasticity. Use a patch test and stop using if any allergic reaction, irritation, or excessive dryness occurs. Promotional Value valid from 1 day(s) after purchase to 180 days(s) after purchase date. Your product will be automatically shipped to you within 2-3 weeks from date of purchase. Certificate cannot be combined with other coupons, discounts or promotions. Paid Value of offer expires 5 years from purchase date. All Customer Service inquiries contact True Company Customer Service Specialist at 800-205-5184 and email address at support@true-company.com.